The connected world has never been so diverse. And there was proof to be seen at the IoT Evolution Conference last month in Fort Lauderdale where big and small commercial hardware and horizontal software providers shared space with private equity and industry analysts and Internet of Things (IoT) entrepreneurs. The IoT market is fast moving and sometimes confusing, but there’s never been more opportunity in the space than today. One trend that was widely debated was the need for owning the full solution relationship with the customer and providing value-added SaaS solutions for those companies trying to remain relevant and successful. In this context, acquisitions play a major role allowing for scale deliveries to customers as well as consolidation leveraging vertical integration. Food safety was another important topic and FDA’s Food Safety Modernization Act (FSMA) regulation, which aims to assure the safety of food throughout the supply chain, took center stage at many discussions. The presenters emphasized that the FSMA regulation would create broader scale industry adoption of a wide range of technologies, geared for increased food safety in the supply chain. At the “Future of Distribution” panel, I had the chance to discuss customers’ evolving global delivery demands related to attaining improved visibility of presence and condition of cargo through truly integrated solutions that connect shippers, carriers and receivers. And integration becomes a welcome trend as customers are simply unable to purchase separate IoT solutions, which solve vital, but different problems. Regulations are a driving force behind such trend, accelerating the proliferation of solutions such as hours of service, proof of delivery and food safety monitoring solutions. Speaking of consolidation and scale, Uber recently announced plans to expand its UberRUSH delivery service to full scale courier services, which reach giants such as Nordstrom through its API integration project. Essentially, by providing retailers with a few lines of code, Uber is trying to change the traditional delivery system marketplace, offering customers same-day delivery service and real-time tracking of their shipments. Fast, affordable, simple and easy to use – requirements that apply to all instances of the connected world. ORBCOMM’s unique ability to deliver end-to-end solutions across multiple industries and the successful OG2 launch were also topics of discussion at the conference. In the world of integration, ORBCOMM seems to be leading the way as an IoT consolidator. 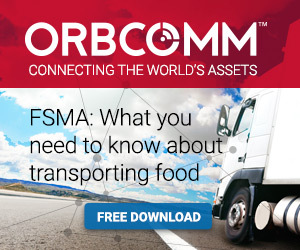 Learn more about our connected transportation solution as well as everything food transporters need to know about the FSMA regulation at http://www.fsmaready.com. 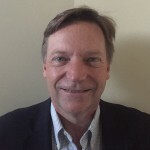 Tom Robinson is Senior Vice-President of Business Strategy with ORBCOMM.